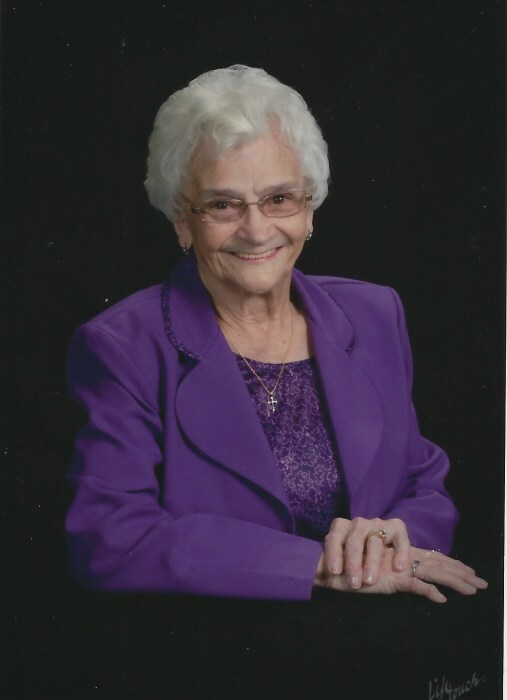 Obituary for Eloise Cooley McClain Fletcher | Jones Funeral Home, Inc.
Eloise Cooley McClain Fletcher, age 93, of Crossett, AR, passed away while surrounded by her loving family on Saturday, March 30, 2019. She was born on June 11, 1925 to Virgil and Chloe Doss Cooley. She was a member of Cloverdale Assembly of God Church of Crossett. Eloise had many loves in her life. Her greatest love was her family. She was an excellent cook and was blessed with many talents including sewing, woodworking crafts, flowers and gardening. She could make something out of nothing. She enjoyed fellowship and gospel music singings at the senior citizen center. In her earlier years, Eloise worked as a seamstress for a company that made space suits for NASA. She made the suit that was worn by the first woman astronaut. She is preceded in death by her parents; her first husband, John David “JD” McClain; her second husband, Lloyd Fletcher; one daughter, Joyce Stokes; one great-grandchild, Casey Shawn Shaddock; two son-in-laws, John Scott and Gary Farmer; two brothers, Cecil and Robert Cooley and one sister, Billie June Barnette. Mrs. Fletcher is survived by two sons, John McClain (Debra) of Grenada, MS and Virgil David McClain (Lenora) of Pasadena, TX; two daughters, Chloe Farmer of Hamburg, AR and Dorothy Scott of Eustace, TX; three brothers, Virgil Gordon Cooley (Deanna), Dewayne Cooley (Betty) and Curtis Glenn Cooley (Doris); one sister, Dorothy Johnson (Tommy); eleven grandchildren; twenty-seven great grandchildren; four great-great grandchildren and a host of friends and loved ones. Funeral Services for Eloise Fletcher are on Monday, April 1, 2019 at Jones Funeral Home, Inc. Visitation begins at 1:00pm and Funeral follows at 2:00pm with Bro. Lloyd Gibbs officiating. Pallbearers are Rocky Farmer, Wade Farmer, Steven Shaddock, Eric Wall, Tony Wall and Casy McClain. Interment is at Egypt Cemetery in Hamburg, AR.